Transforming this tired old 1930s semi-detached house in south London whilst living in it with a young family was a challenge for this home owner. The end result is a stunning light filled home with more than fifty percent more floor space and panoramic views over London. The design, by Selencky///Parsons architects, called for a complete internal remodelling and modernisation of the home with the addition of a ground floor extension featuring a three-panel set of theEDGE2.0 ultra-slim sliding door system, along with a loft conversion to increase usable space for the family. The conversion of the loft not only increases the number of bedrooms in the house but allows the home, built on the side of a hill in West Norwood, to enjoy a stunning panoramic view over the skyline of Central London thanks to the large IDS300 Slim picture window installed in the master bedroom. The sloping site did present a number of challenges however, at ground floor level the open-plan family space is on a split level – but again this challenge has been embraced by the architects and the house features an innovative mezzanine ‘nest’ that is truly unique. 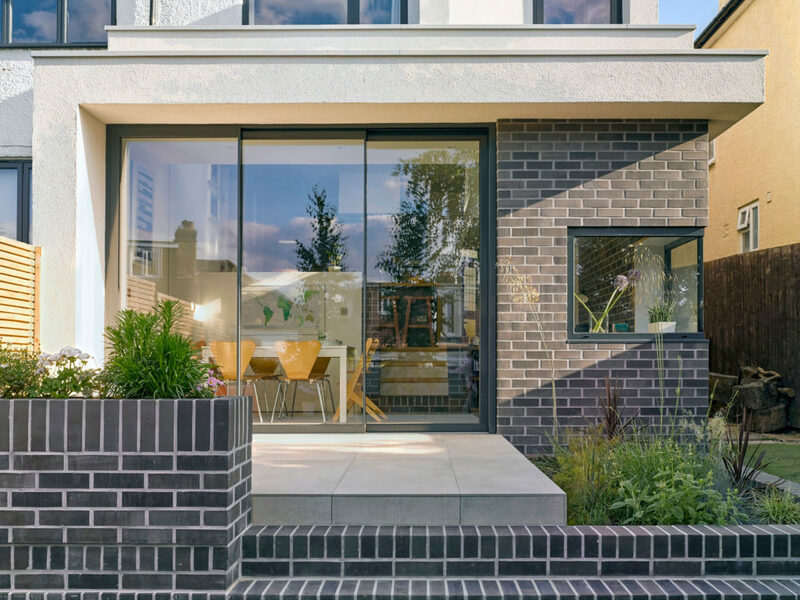 In order to fill the ground floor of the home with natural light the incredibly slim 20mm profiles of theEDGE2.0 were utilised in conjunction with a contemporary glass-to-glass corner window. The narrow sightlines of the sliding door are ideal given the smaller aperture, maximising the amount of glass in the opening and making the open-plan kitchen and living space feel open and bright.